A couple of weeks ago I attended a seminar in which a Nutanix competitor stated that the Nutanix Licensing was a really hard nut to crack. I immediatly went to the Nutanix licensing site to see what was so difficult about it but couldn’t explain why someone would find it so hard to figure out the Nutanix Licensing. 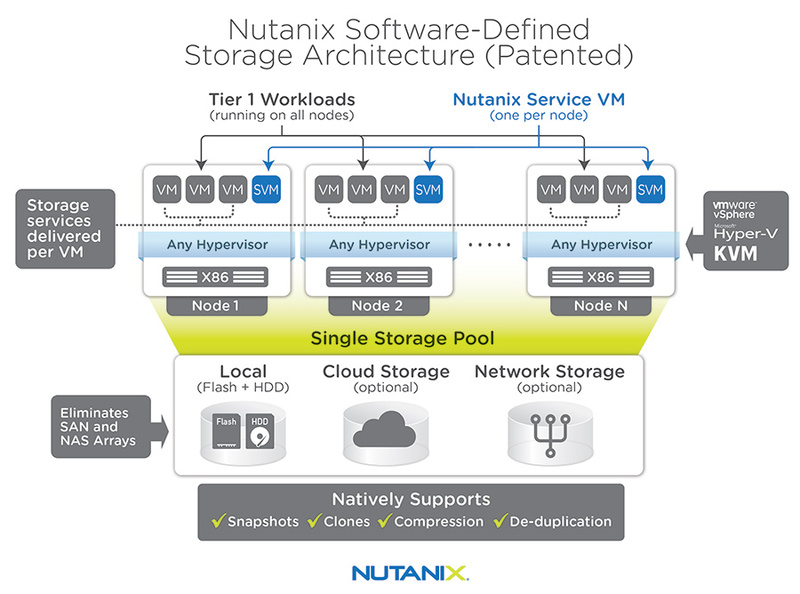 Nutanix Acropolis is a powerful scale-out data fabric for storage, compute and virtualization. Acropolis combines feature-rich software-defined storage with built-in virtualization in a turnkey hyperconverged infrastructure solution that can run any application at any scale. Nutanix Prism gives administrators a simple and elegant way to manage virtual environments. Powered by advanced data analytics and heuristics, Prism simplifies and streamlines common workflows within a datacenter eliminating the need to have disparate management solutions. So if you need more then 12 hosts in a cluster or Deduplication, Compression or Erasure coding you’ll need at least Pro, if you need some of your workloads to be pinned on flash you’ll have to switch over to Ultimate. Easy as that on the storage side, let’s continue. In this case it is even easier, if you need enclosure or rack awereness Starter is a NoNo. You’ll need to decide on other features (like storage) if you need to go to Pro or Ultimate. Cluster Shield, which allows administrators to restrict access to a Nutanix cluster in security-conscious environments, such as government facilities and healthcare provider systems. Cluster Shield disables interactive shell logins automatically. What is important for our Prism comparison is that every Acropolis edition already offers the Prism Starter edition. 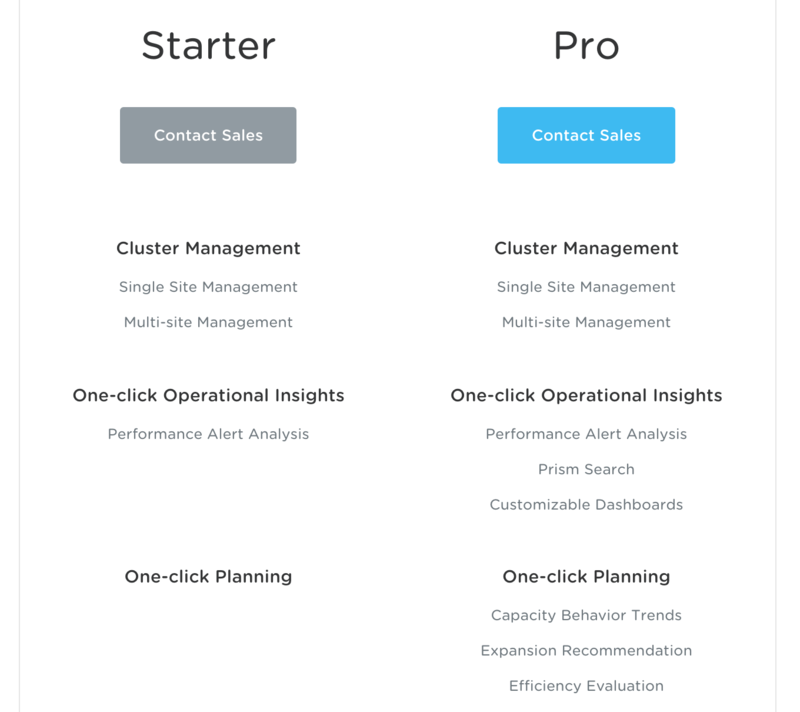 We don’t really need to look at that one than, so we’ll concentrate on Pro if we get there 😀 For Management and Analytics it is kind of easy again, because if you need Rest API’s you’ll need Pro or Ultimate, otherwise you could do with Starter. But again, it depends on the other features in these licensing deals if you can choose the Starter/Pro or Ultimate. That’s all for the Acropolis site of things, and to be honest I didn’t find any hard nuts to crack. The list is very clear, and based on the business and technical requirements it should be able to choose the flavor you need. So it must be in the Prism site of things than. Let’s see how difficult this Prism thingy really is. For the people that payed attention, I already told that all Acropolis editions included the Prism Starter edition so we can concentrate on Pro. Customizable Operations Dashboard is a Visually rich dashboards that give actionable summary of applications, virtual machines and infrastructure state at-a-glance. So if you need one of these features you’ll need to buy the Prism Pro license. It is one thing to bash your competitors and I know they all do this, including Nutanix themselves, but if you want to say something about your competitors, please make sure to know what you’re talking about. In this case (and in my “humble” opinion) the statement about the Nutanix Licensing being a hard nut to crack is really based on nothing. The Nutanix licensing is very clear in what the licensing does and does not include and it’s up to you to create clear requirements about the environment on which you can than base you choice for the Acropolis and Prism edition you’ll need. I’m a very big fan of VMware and as VMware fanboy I’ve always been weary about multi hypervisor environments. But the last couple of months I’ve seen (and heard) more and more companies talking about choosing the right hypervisor for specific jobs. Where people always talked about doing it all on ESXi, it seems Hyper-V (and in some cases KVM) are cheaper and better then ESXi. That’s why it is important to have a choice. Nutanix as one of the view Hyper-convergence solution offers you the choice of all these Hypervisors. As said it might be you do everything on ESXi but having a choice is important. While we’re at it, let’s keep the multi thing up. Software Defined is everything these days. Although I’m still not a big fan of this term I do use it but only when the hardware part is well covered. Nutanix offers a great hardware platform as the base of their offering. Using commodity hardware is one thing, leverage this hardware to build for all the challenges produced by a virtual environment is another. Nutanix uses different terminology for their hardware. A block is 2U hardware unit which can hold 1, 2 or 4 compute units, known as nodes. Don’t worry the intelligence is in the nodes, and the 2U Block is not some sort of blade chassis with intellegence in it. – The NX-1000 series (NX-1020 and NX-1050 and 4 nodes per block. More information below). VDI has always been a big part of Nutanix. First of all it is an easy use case to start with the Nutanix offering and a PoC is setup and running within the hour (VMware and Citrix installation and configuration not included). Dealing with VDI is a complex task that involves a lot of different user types. Most users don’t need a whole lot of GPU power, and the NX-1000 and NX-3000 series will be more then sufficient for them. But for the GPU intensive loads (CAD, Animation creation, 3D modeling and others) the NX-7110 is the bomb. They need this and providing it is just awesome. Last but not least the brand new 8000 series. – NX-8000 series. (The NX-8150 also contains 1 node per block. more information below). Why in the … would you need a monster like this? No clue? Think Oracle, SQL and SAP. Where most of the NX nodes provide multiple of thousands (10s of thousands) IOPS. But some applications just need more… That’s where the NX-8150 comes in. This is the machine you need for your Tier 1 apps, with 2-4 times the SSD density of the other NX nodes this monster will help you to tame every application in your environment. If you thought you wouldn’t be able to build a whole “SD” DataCenter with Nutanix, Think Again!!! The era of cloud is alive and kicking… Using the Public cloud is still a step to far for a lot companies especially outside the US. So providing companies the ability to backup to EC2 and S3 looks awesome, is awesome, but might just not be used that much outside the US. Being able to Backup other Nutanix infrastructures on any hypervisor is a great feature. Where a lot companies struggle with the licensing fees of the hypervisor, this feature gives a company the ability to backup to another site with another hypervisor installed. So If your main datacenter runs VMware and your second datacenter runs Hyper-V, Nutanix got you covered. As said a lot of companies are still struggling with putting their data into the public cloud. Using AWS (EC2 or S3) might be something for the US only at this moment, but I’m sure Nutanix will not leave it with this. Other Cloud providers and even local cloud providers (think vCloud Director and Microsoft Azure) will probably follow in the near future. For a multitude of companies Data at Rest Encryption is a must. Think Government, Banking and hospitals for one, but there are many more that need this feature. Nutanix provides this feature for the following nodes: NX-3060-E, NX-3061-E and the NX-6060E and there are a couple of requirements that must be met. First of all this feature is ESXi only for the moment. Mixing clusters with host with and without DRE is not possible. Either you have DRE or you don’t. You can still manage everything via the same PRISM interface, though. To enable DRE you need a third party key management server, for the time being the only certified by Nutanix is the SafeNet KeySecure Cryptographic Key Management System. I know, that’s another at the moment, but I’m absolutely sure this offering will grow over time. I really love this new feature, as there aren’t that many product featuring this kind of solution while extremely important. In many environments I work the upgrades of both soft- and firmware are a pain in the …. Most of the time the Software part of the upgrade is doable thanks to tools like VMware Update Manager, but when talking about firmware most of the time administrators are talking about 20 to 30 minutes per server to take care of it… When talking about 100’s of servers per datacenter and multiple datacenters you can do the math…. This new feature provided by Nutanix is a timesaver of big proportions… In an environment of a 1000 hosts this can save you up to 80 days (yes days) of work. Doing it in an automated way, and doing the updates and upgrades that don’t need a reboot quickly and on the fly, while providing the possibility to update and upgrade and reboot all your hosts through one and the same interface in this automated way is just awesome, and for as I know a Nutanix only feature (correct me if I’m wrong ;-)). Don’t forget to read the rest of this blog for some awesome information and tools. 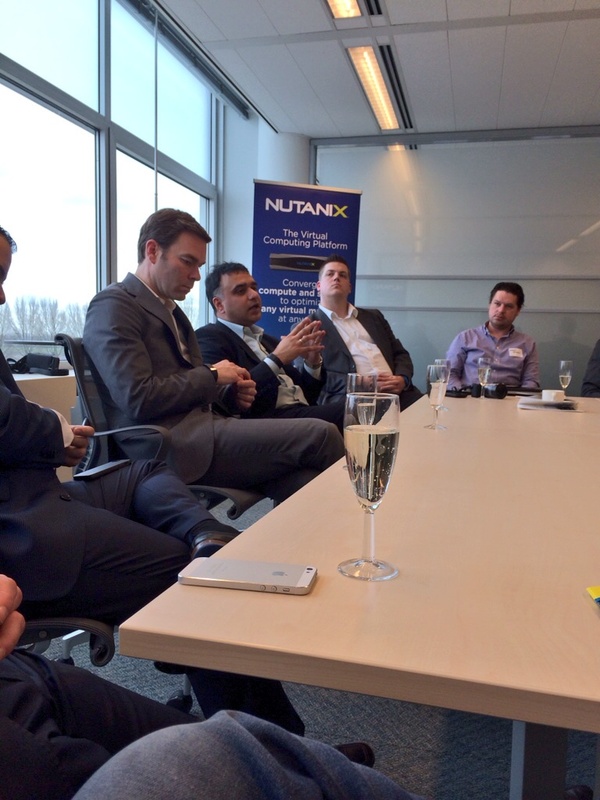 Last week my friends from Nutanix opened their brand new EMEA Headquarters in Hoofddorp (Amsterdam). 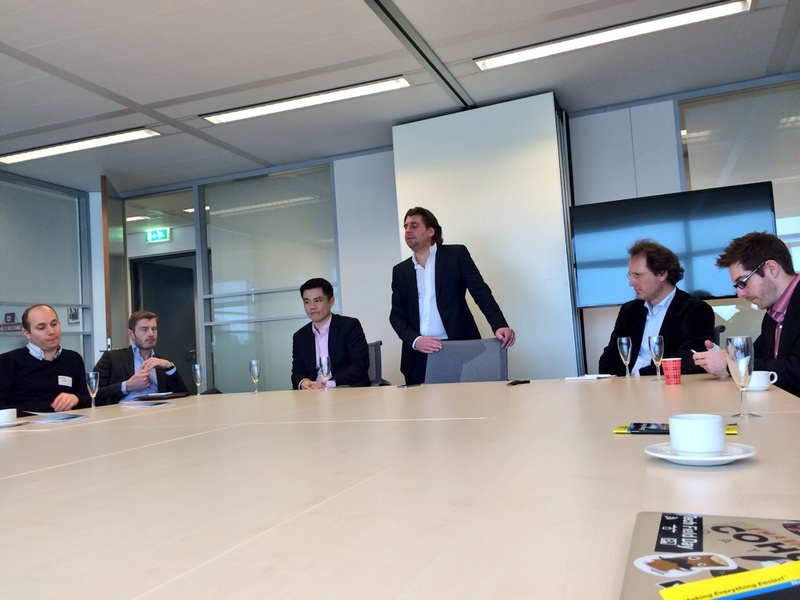 It’s awesome to see such a company like Nutanix opening their HQ in the Netherlands. If you don’t know what Nutanix does, you’ve probably been living under a rock, and the first thing you need to know is that the world is round…. Just to spread a little light on the Nutanix way of life. Next we were updated by Howard Ting (and Dheeraj) and we discussed multiple great topics with the bloggers and Nutanix people. What I think was great is the possibilty to talk to the important people at Nutanix, and know you’re being heard. The Nutanix leadership listens to what the community tells them, and is willing to work with them to make the Nutanix product even better. The discussion on building a Nutanix Community (like the VMware/Citrix/Microsoft communities) was great, and if you were there you know Dheeraj, Howard, Dirk and the others were more then willing to listen, discuss and in the near future will act on the things said by the bloggers. and a learning culture (think of Einstein: “Information is not knowledge. The only source of knowledge is experience”. If you take a good look at the bullets you know Nutanix is on track for Web Scale IT, and they’ll put a lot of effort in staying a leader in Web Scale IT, and knowing Nutanix they’ll do a damn good job. If you’re a frequent reader of my blog you know I’m not that fond of the Software Defined Everything thing that’s happening at the moment. I my opinion it’s wrong to think Software changes everything, as does changes are only made possible by the very impressive technology gains made by the hardware vendors. The Web Scale IT naming is something that describes all these things much better if you ask me. Don’t get me wrong, these are awesome times, but that for software as well as hardware.